Total spaces: 40. Registered to date: 37. Registered for post-tour: 16. 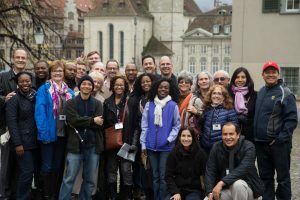 Nationalities of participants: Singapore, Australia, Thailand, Zambia, South Africa, Bahamas, Canada, the United States, Nigeria, Cameroon, and the United Kingdom. Nations represented: 11. We hear a good deal of talk about doing what Jesus would do (WWJD? 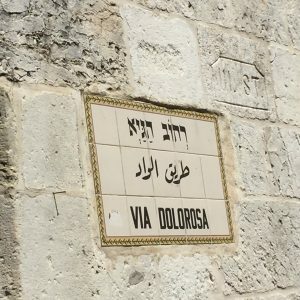 ), but how about walking where Jesus walked? 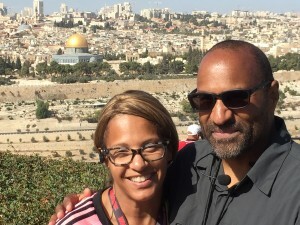 We would like to invite you to join the 2019 annual tour—as we return to Israel. Your faith will be strengthened. You'll no longer have to imagine what the biblical world looks like. Now you can remember! The fellowship is invigorating. Make new friends from around the globe. 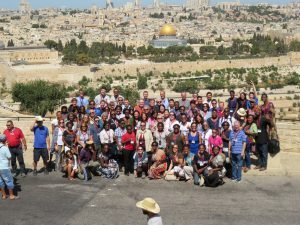 Since the Biblical Study Tours began, nearly 1000 persons have taken part! Watch the Bible come to life revealing new dimensions—as you better your grasp of history, geography, biblical characters, and the flow of the biblical story. Your heart will fill with memories to last the rest of your life. You've thought about these locations for years; now's your chance to experience them—or experience them anew, if this will be a return visit. Price: $1975. Mount, Church of the Holy Sepulchre, City of David, Beth Shean/Scythopolis, Armageddon, Dan, Caesarea Maritima, Caesarea Philippi, Qumran/Dead Sea Caves, synagogue and 1st-century home of Capernaum, Sea of Galilee devotional cruise, shopping, swimming in the Dead Sea, fortress of Masada, Sound & Light show in Tower of David, Nazareth Village, and much more! Tour dates are 27 May-3 June. 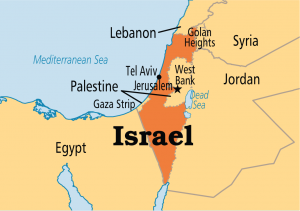 We begin with dinner in Tel Aviv on the evening of 27 May, and the closing dinner is in Jerusalem on the 2nd—you'll stay that night and fly out sometime on the 3rd. 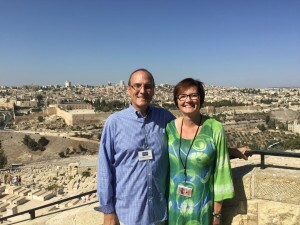 There is also an option to extend 3 days, in order to experience several sites we are unable to take in during the main (7-day) itinerary, including Bethlehem (Church of the Nativity), the Herodion (fortress and burial place of Herod the Great), the Citadel (Tower of David), Samaria (Mt. Gerizim), Shiloh (site of Tabernacle), the Jerusalem Model, Shrine of the Book (Dead Sea Scrolls), and the Israel Museum. 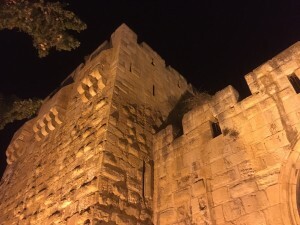 We will be staying in the Dan Boutique Jerusalem. Price $949. Responses to a recent tour: Click here. The 2018 group was 115—photo below, from communion service in Gethsemane. Athens (3), Berlin (2), Chicago, Colossae, Corinth (3), Delphi, Egypt, Ephesus (2), Geneva, Herculaneum, Hierapolis (2), Israel (11), Jordan (2), Laodicea (2), London (4), Oxford, Paris, Patmos (2), Pergamum, Pompeii (3), Rome (3), Sardis, Washington DC, Wittenberg (2), Zürich (1).